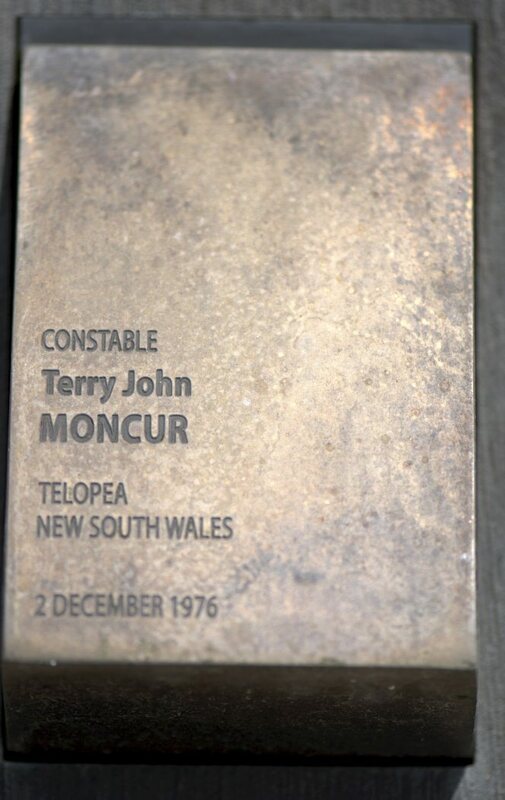 On the night of 1 December, 1976 Constable Moncur was the observer in a police Highway Patrol vehicle engaged in a high speed pursuit of a motor cycle in Adderton Road, Telopea. As the vehicle was negotiating a left hand bend in the roadway it skidded and collided with a parked vehicle. Constable Moncur sustained severe injuries and died the following morning. The constable was born in 1953 and joined the New South Wales Police Force on 24 September, 1974. At the time of his death he was attached to the Highway Patrol.